Speaking on “The Dan Patrick Show” on Wednesday, the day after announcing a landmark sponsorship deal with the NBA, Jim Murren thinks the city is too attractive not to have a franchise. Is an NBA franchise coming to Las Vegas? 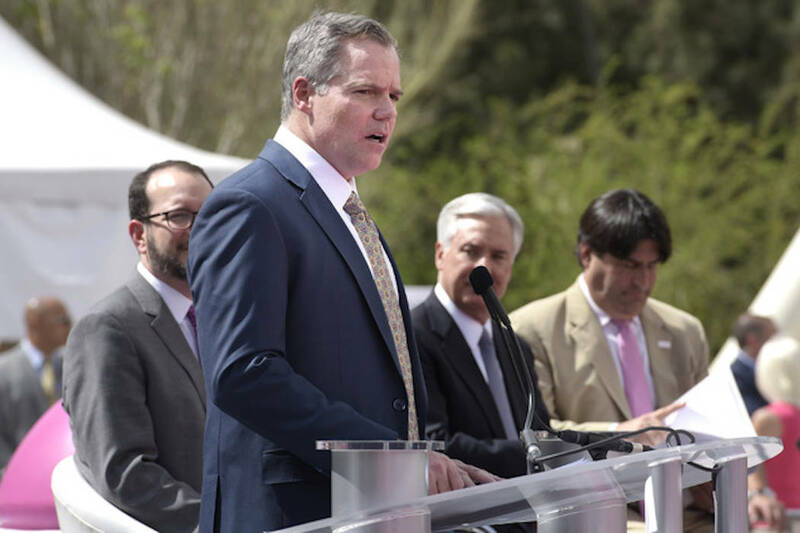 If you listen to MGM Resorts International chairman Jim Murren, he thinks that day is coming soon. Speaking on “The Dan Patrick Show” on Wednesday, the day after announcing a landmark sponsorship deal with the NBA, Murren thinks the city is too attractive not to have a franchise. “I would think it would be highly plausible that an NBA team would like to relocate to what’s becoming one of the sports capitals of the U.S.,” Murren said. “But this was not a precondition of doing (the agreement). I have no illusions that it is. On Tuesday, Las Vegas-based MGM Resorts International signed a sports betting sponsorship agreement with the NBA, making it the first professional sports league to have official ties with a legal sports betting house. The deal comes two months after the U.S. Supreme Court overturned a law prohibiting sports betting in most states. The partnership will allow MGM Resorts to use official NBA and WNBA data and branding on a nonexclusive basis across the resort operator’s land-based and digital sports betting offerings in the United States. It also allows the NBA to promote MGM Resorts across its digital assets, including NBA TV, NBA.com, the NBA App and NBA social media platforms. “We had a relationship with the NBA before this,” he said. “We’re the hosts of the NBA Summer League, which has become a real popular event for the players, fans, families, etc. That’s just getting bigger and bigger. I bought last year the (WNBA) San Antonio Stars, moved them here and they’re now the Las Vegas Aces. With our No. 1 draft choice, A’ja Wilson, and some young players, we’re a fun, young team right now. Bill Bradley is sports editor of the Review-Journal. He can be reached at 702-387-2909 or bbradley@reviewjournal.com. Follow @billbradleyLV on Twitter.